Assistant professor, since 2015. Kunming Institute of Botany, Chinese Academy of Sciences, Kunming, China. Postdoctoral researcher, 2012-2015. Kunming Institute of Botany, Chinese Academy of Sciences, Kunming, China. 1)	Zhai, D.-L., Xu, J.-C., Dai, Z.-C. Schmidt-Vogt D., 2017. Lost in transition: forest transition and natural forest loss in tropical China. Plant Diversity (online). 2)	Zhai, D.-L., Cannon, C.H., Dai, Z.-C., Zhang, C.-P., Xu, J.-C., 2015. Deforestation and fragmentation of natural forests in the upper Changhua watershed, Hainan, China: implications for biodiversity conservation. Environmental Monitoring and Assessment 187, 1-12. 3)	Zhai, D.-L., Xu, J.-C., Dai, Z.-C., 2015. Forest Transition in Xishuangbanna, Yunnan. Plant Diversity and Resources 37, 99-104. 4)	Zhai, D.-L., Xu, J.-C., Dai, Z.-C., Cannon, C., Grumbine, R.E., 2014. Increasing tree cover while losing diverse natural forests in tropical Hainan, China. Regional Environmental Change 14, 611-621. 5)	Zhai, D.-L., Cannon, C.H., Slik, J.W.F., Zhang, C.-P., Dai, Z.-C., 2012. Rubber and pulp plantations represent a double threat to Hainan's natural tropical forests. Journal of Environmental Management 96, 64-73. 6)	Zinda, J.A., Trac, C.J., Zhai, D.-L., Harrell, S., 2016. Dual-function forests in the returning farmland to forest program and the flexibility of environmental policy in China. Geoforum (in press). 7)	Dai, Z.-C., Fu, W., Qi, S.-S., Zhai, D.-L., Chen, S.-C., Wan, L.-Y., Huang, P., Du, D.-L., 2016. Different Responses of an Invasive Clonal Plant Wedelia trilobata and its Native Congener to Gibberellin: Implications for Biological Invasion. Journal of Chemical Ecology 42, 85-94. 8)	Kou, W., Xiao, X., Dong, J., Gan, S., Zhai, D.-L., Zhang, G., Qin, Y., Li, L., 2015. Mapping Deciduous Rubber Plantation Areas and Stand Ages with PALSAR and Landsat Images. Remote Sensing 7, 1048-1073. 9)	Dai, Z.-C., Qi, S.-S., Miao, S.-L., Liu, Y.-T., Tian, Y.-F., Zhai, D.-L., Huang, P., Du, D.-L., 2015. Isolation of NBS-LRR RGAs from invasive Wedelia trilobata and the calculation of evolutionary rates to understand bioinvasion from a molecular evolution perspective. Biochemical Systematics and Ecology 61, 19-27. 10)	Qi, S.-S., Dai, Z.-C., Miao, S.-L., Zhai, D.-L., Si, C.-C., Huang, P., Wang, R.-P., Du, D.-L., 2014. Light limitation and litter of an invasive clonal plant, Wedelia trilobata, inhibit its seedling recruitment. Annals of Botany 114, 425-433. 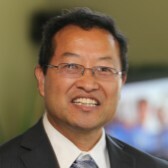 11)	Qi, S.-S., Dai, Z.-C., Zhai, D.-L., Chen S.-C., Si, C.-C., Huang, P., Wang, R.-P., Zhong Q.-X., Du, D.-L., 2014. Curvilinear effects of invasive plants on plant diversity: plant community invaded by Sphagneticola trilobata. PLoS One 9, e113964. 12)	Dai, Z.-C., Si, C.-C., Zhai, D.-L., Huang, P., Qi, S.-S., Zhong, Q.-X., Hu, X., Li, H.-M., Du, D.-L., 2013. Human impacts on genetic diversity and differentiation in six natural populations of Madhuca hainanensis, an endemic and endangered timber species in China. Biochemical Systematics and Ecology 50, 212-219.